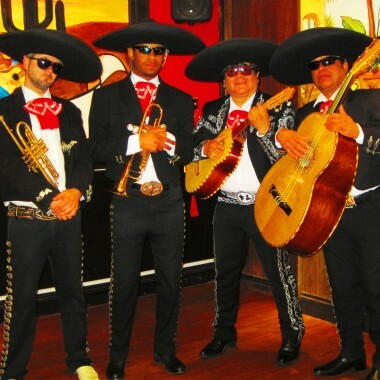 Mariachi Tequila is a flexible sized band of authentic professional musicians specialising in traditional Mexican popular Mariachi music and Latin American music in general. Since its formation the group has played at hundreds of reputable venues in London and others cities in the UK and abroad for film premieres, Embassies and celebrities, advertising campaigns and on television (‘Big Brother’ and ‘The Graham Norton Show’ in 2010). This colourfully costumed band offers various combinations (trio up to eight or more musicians) including violins, trumpets, guitars, guitarron, requinto and harmonious voices. The music is exciting, vibrant and instantly appealing and they can play acoustically in one spot or promenade around a venue. 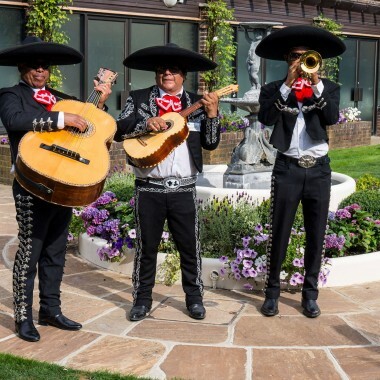 They are ideal for: a wedding, party, corporate event, travel show or exhibition, art gallery, product launch, Mexican or Spanish theme night, school night, festival, street party, shopping centre and much more, and have played at many of these. 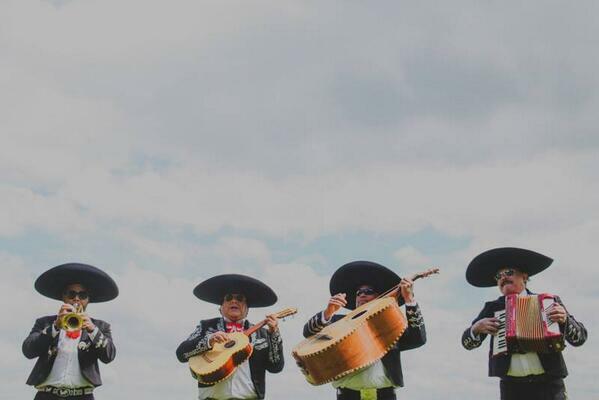 For an audience in the know, any famous Mexican song can be requested from their enormous repertoire and will be played on the spot, for example the much loved “Las Mananaitas” for a birthday. Mariachi Tequila offers a unique entertainment spectacle with all the passion of Mexico (and some of the fire of Tequila! ).